Fashion designer DANY MIZRACHI began his career in the fashion industry as an ambitious teenager, ironing clothes and different fabrics in a small family owend textile shop in South TEL AVIV. Several years later, the Mizrachi brothers would launch thr “Rosh Indiani”(indian head)network’ that would change the face of local fashion industry and introduce international standarts and groundbreaking innovations into the market. Following his success, Dany then decided to re-emerge onto the scene and introduce his personal fashion house, bearing his name, Dany Mizrachi. Specializing in bridal and evening gowns, Dany’s signature pillars of asymmetrical cuts, three dimensional designs, and the resourcing of the finest raw materials, sent waves through the industry. Considered to be both disruptive and innovative , Dany Mizrachi success continues to resonate in the luxury bridal industry today, as he introduces new designs that are on trend and at the forefront of the fashion world, and yet at the same time, have Dany unique fingerprint . His avant-grade approach continues to captivate his audiences on a global scale. 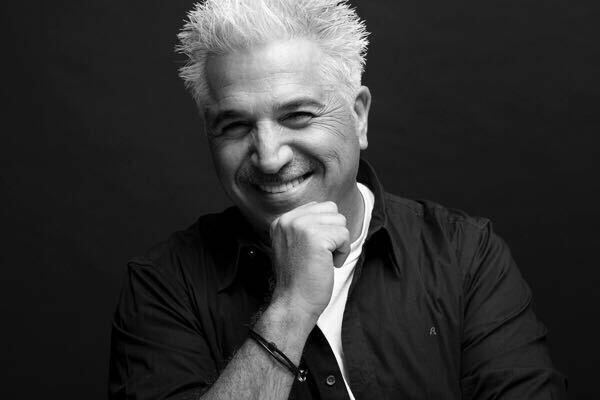 Dany Mizrachi experienced several noteworthy collaborations throughout his career , such as serving as the house designer for “Dancing with the stars” in Israel. Furthermore , he is known for discovering and showcasting model Galit Gutman,and bringing international supermodel Irina Shayk onto the Israeli scene. When Dany is not onstage and in spotlight ,he is backstage, training the young up and coming fashion designers during their studies as “Shenkar” and personally tutoring the graduates from various fashion schools around the world .He truly has an unselfish desire to share his wisdom and perspective, to mold the future of the industry , and bring out the best in everyone around him. Dany Mizrachi is driven by his passion . His passion and commitment to both excellence , details ,and most importantly ,exceptional customer service. The personal service that Dany offers his exclusive customers are unparalleled and surpass all expectations set forth by the market. Dany has guided and accompanied thousands of customers during the happiest moments of their lives , and his trademark, being the personal connection and high-touch attention to which he gives to each individual.